Hello again, it’s Jeff. 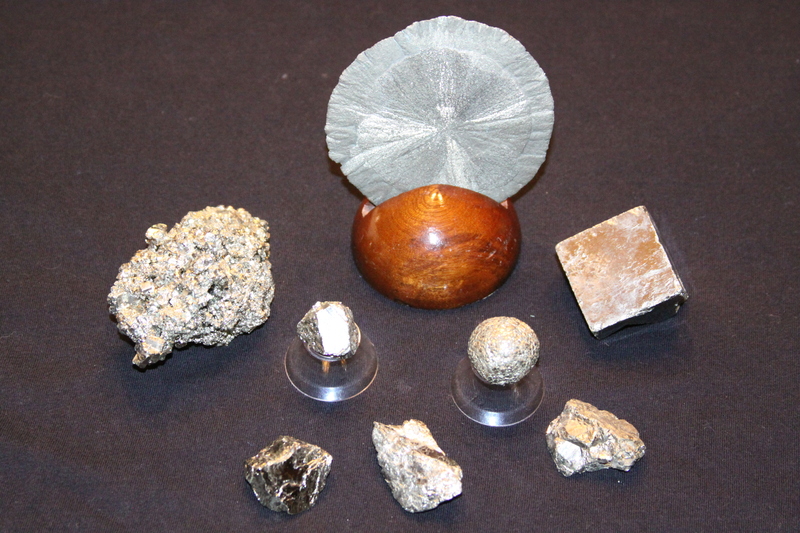 Today is National Collect Rocks Day (yes, there is such a thing! 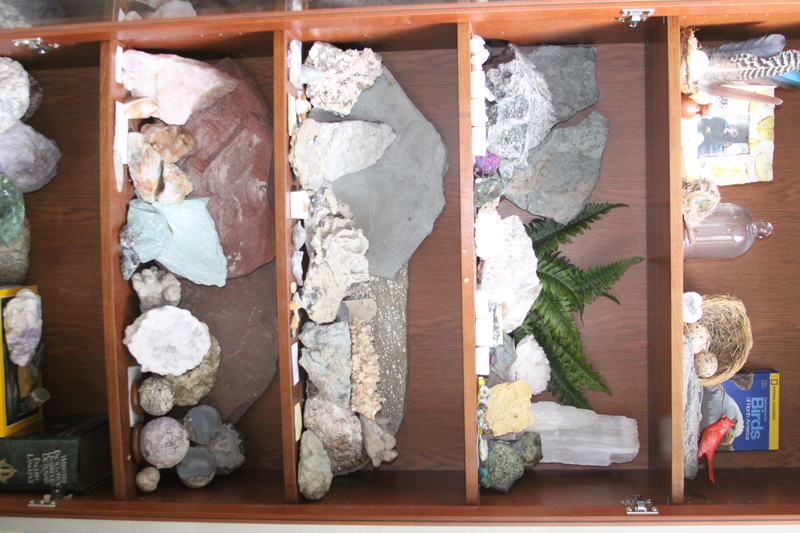 ), and I will be writing about my rock collection. 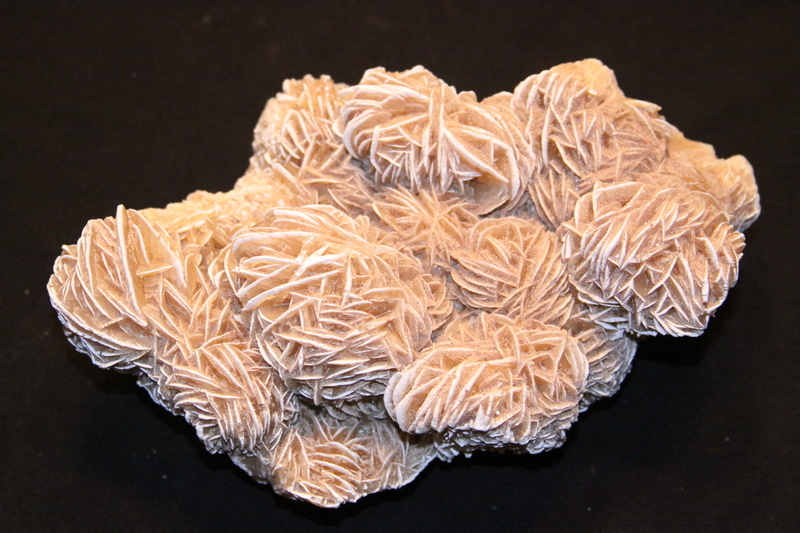 I have been fascinated by rocks since I was a kid and I think I have a very nice collection of different rocks and minerals. 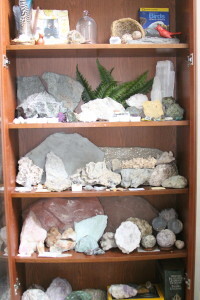 When we travel across the United States of our annual road trips I am always on the look-out for a rock shop … I can spend hours just looking in those stores (can you hear Barbara and Cassandra groaning just thinking about rock shops?). When Barbara asked me to write a post about my rocks my first thought was making a presentation similar to what I have done a couple of times for Cassandra’s classes over the years. When she was in 4th grade and again in 7th grade I took a portion of my collection to the school and showed it to the Science classes. That’s where I got the name “The Rock Guy”. I have had kids come up to me years later and ask what a particular rock was. Quite an honor! While it was a lot of fun and I hope the kids learned a lot, an educational presentation doesn’t really fit with the style of Barbara’s blog. I thought I would talk about some of my favorites, why they are my favorites (even though it should be obvious), how I got them and any other tips I might have for you. The first tip I have is one I learned from Barbara. It is if you have cool stuff, you really need to display it. What good are beautiful and interesting things if they are stored away in boxes in the attic? Barbara has touched on this in her post Decor – Displaying Travel Souvenirs. 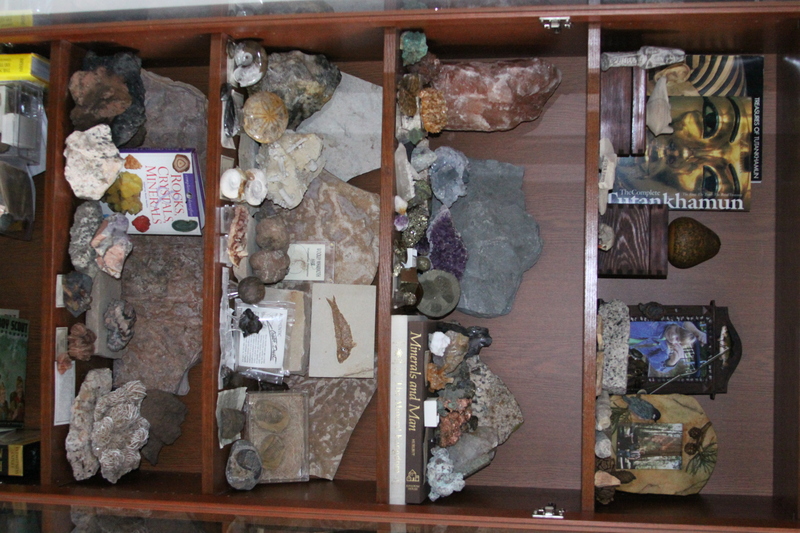 What you can’t see in the pictures of that post are the shelves to the left and right which have glass doors and contain my mineral treasures (although you can see some of my petrified wood on those shelves). Be forewarned though, displaying your treasures takes a lot of space. If you are not committed to the cause it is better not to get started! 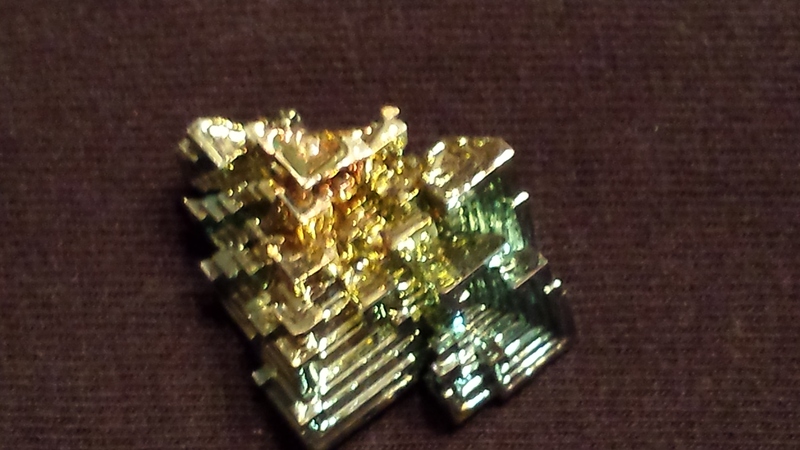 One of my favorite groups of minerals are the different forms of pyrite, more commonly known as “Fools Gold”. It can be found in a number of natural forms and shapes, such as in cubes, spheres and my personal favorite the pyrite sun. All of these were purchased at museum shops which brings me to my second tip. While it would be wonderful to have the giant, colorful, beautiful specimens like they have in museums there is a reason they are in those museums – they are rare and EXPENSIVE. To have something like that you need a lot of money and space to display them properly. I like to focus on smaller samples that are more affordable. Here are a few of my samples, not that big, but I enjoy looking at them. Another of my favorite rocks types is granite and if you haven’t figured it out already, I have several HUGE specimens in my house. Where do you ask? My kitchen! When we remodeled our kitchen we went to this warehouse and got to look through hundreds of slabs of granite. 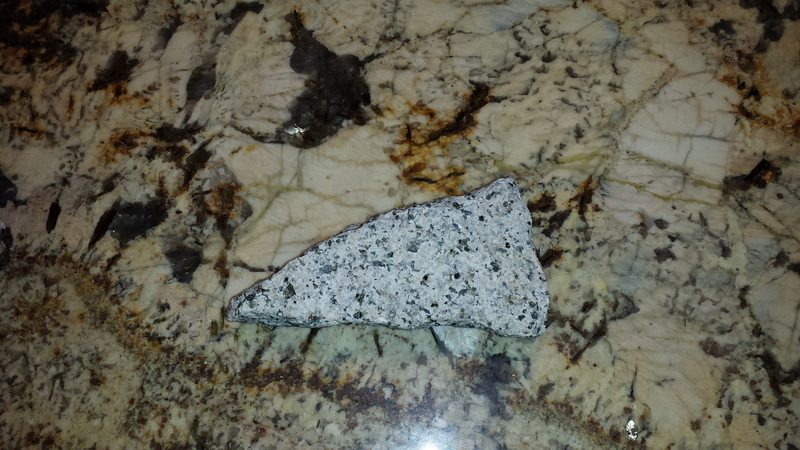 We chose a Persian granite for the top of our island. I never get tired of looking at the different minerals and crystals there. 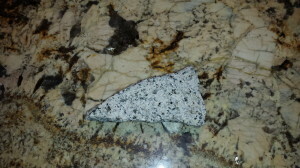 We also have some granite we got from Mount Rushmore and Crazy Horse. Not polished and the crystal structures are much smaller than our counter top, but cool none the less. I am always looking for rocks and minerals. 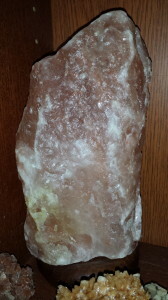 I found a beautiful piece of rose quartz on the side of the road in the Black Hills and some great slate in Kentucky, but I get most of my specimens in stores. Sometimes I get lucky, like when we were in Arizona one year and we had stopped for gas. 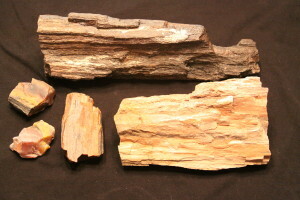 I went in to see if they had a bathroom and found that the owner was selling petrified wood collected off of private property. 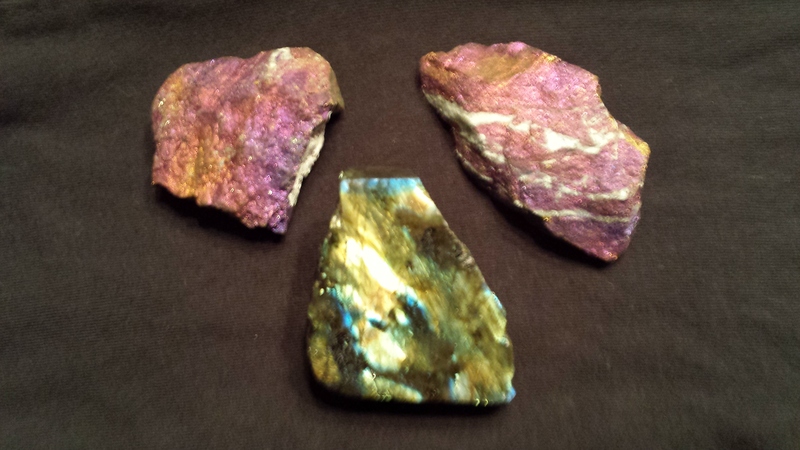 I got these great pieces at a fraction of the cost than if I had bought them at the gift shop in the National Park. 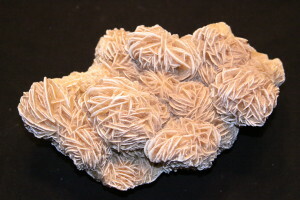 I got this gypsum rose from a store in New Mexico that sold all kinds of stuff. It only cost me $12! What a find! I found one for sale on eBay about half the size for $90. 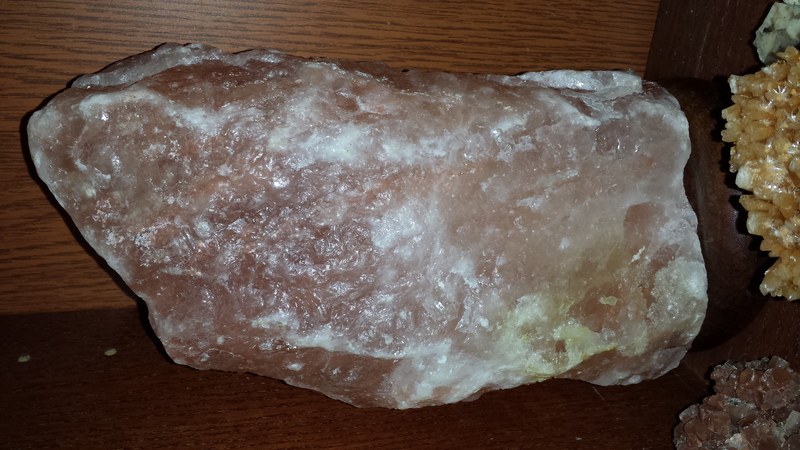 I purchased this salt crystal at 75% off from a store in the mall that was going out of business. It is actually a lamp, but I pulled the bulb and this is how I display it. My favorite deal was purchased in a small shop in the Black Hills in the off season. 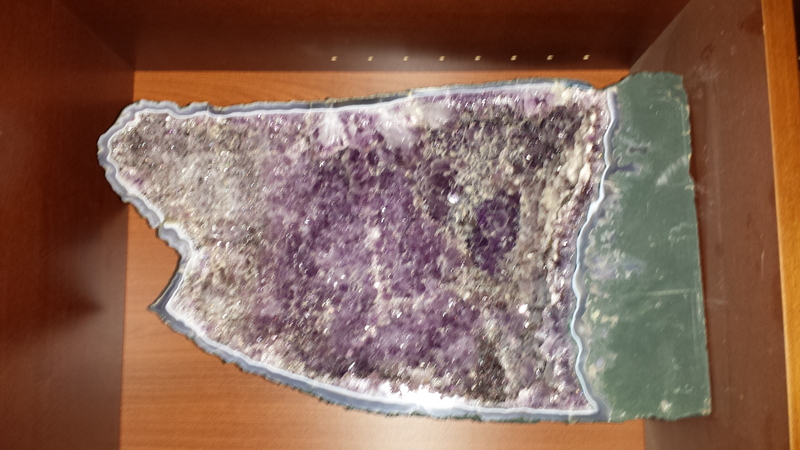 The store owner had just received a shipment of amethyst cathedrals and I purchased one for $128. 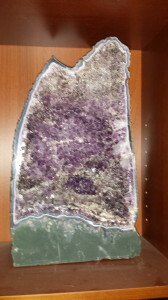 An amethyst cathedral is a geode (hollow rock) lined with purple crystals. One of my more expensive purchases, but similar cathedrals sell for $400 – $600 each. The main rules are keep your eyes open and, most importantly, know what you are buying so you pay a fair price. If you have a smartphone you can always look up what you are looking at to make sure it is a good deal. In closing, I want to thank Barbara for a number of things. First that she let me share some of my passion for rocks with you on her blog. Second, that she lets me buy them, pick them up and more importantly that she displays them so we can enjoy them. Let me know if you have any questions or want to see any additional pictures. I would love to receive your comments. If you really want to help me out you can lobby Barbara to let me get something like is described here! If not that, maybe just a trip to BLM lands in Utah. 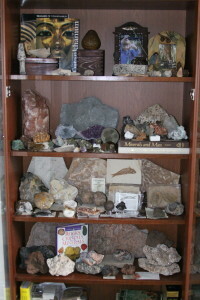 This entry was posted in Miscellaneous and tagged Barbara Jones, collecting rocks, displaying a rock collection, Enchanted Manor, Jeff Jones, Miscellaneous post, National Collect Rocks Day, The Enchanted Manor, The Rock Guy by barbara. Bookmark the permalink.